In heart-warming Spring colors of mint green, yellow and pink, a sweet and colorful card to wish your best mom a happy *and* eco friendly Mothers Day or birthday. 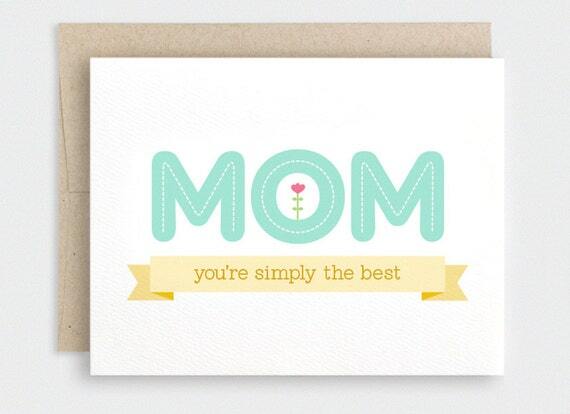 Features text "Mom You're Simply the Best". Inside says "Also, I Love you. Happy Mother's Day [or Birthday]". Handcrafted from 100% post consumer recycled materials.